I don’t care for Sporks much. Never have. NEVER WILL. Although I am only guessing that I never will…perhaps I will…one day. But not on this day, what some scientists might call “today.” Maybe on a different day, possibly tomorrow, I will care about Sporks. Now let me reiterate, I find Sporks off-putting and an overrated means of transporting food to one’s mouth. And do you know what that means? …if you really stop and think about it. Go ahead, I’ll wait. But while you’re stopped, “thinking” about “it,” and you happen to see a hotdog truck, get me a hotdog or two…AND THEN I’LL SHOW YOU WHAT I MEAN WHEN IT COMES TO SPORKS, when you get back from picking up a couple of delicious hotdogs. Side note: My apologies for the use of all capital letters there. My caps lock was mistakenly held down during that one sentence a couple sentences back…hahaha…what an amusing mishap! I guess I’m just too lazy to go back and change that ALL CAPS sentence to a properly capitalized sentence, even though I’m willing to type this new sentence out… STUPID SPORKS! Go figure! 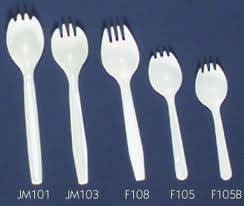 In many ways (two to be exact), Sporks are like koala bears. They are cute indeed, but possibly incredibly deadly! VERY INCREDIBLY DEADLY. AND they are not that cute either, if you ask me. Or even if you ask someone else to ask me…I will tell that person to tell you the same thing. 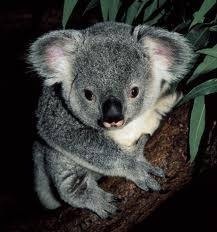 Like I was saying, after I said koala bears are cute, koala bears are ugly. And so are Sporks. Ugly on the inside. Got that, tough guy? And it’s this Spork self-absorption that really tans my hide. It’s also the self-tanner. But I rarely use it on my hide. For that, I use specially formulated hide gel. By the way, twice I was molested by a Spork while I was applying my hide gel. I probably should have mentioned that earlier, before I said all that other stuff.